The girls always want to "help" when I'm making a cake. That's really hard to do when I'm decorating. I try to plan times when they are sleeping to work on things. 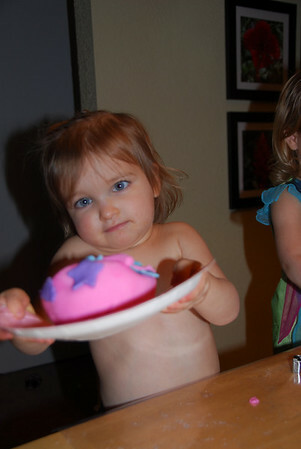 Another plea to "help" came when I was working on Elena's cake. All the decorating stuff was out, so I said, "Why not?" 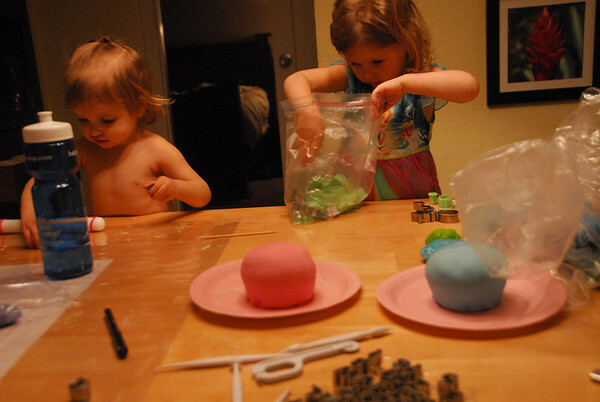 They normally help with the baking, and they were able to do so as we baked their own "cakes" (giant cupcakes). 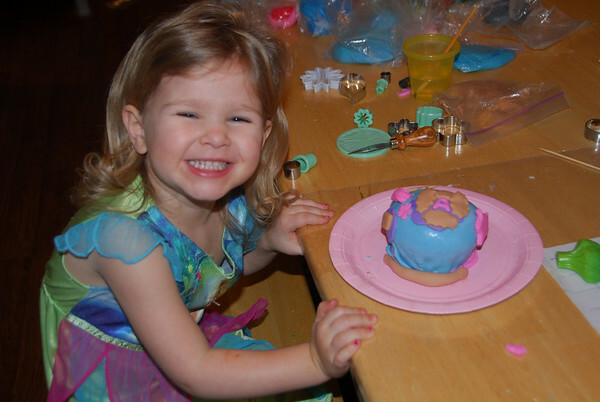 They then used my fondant to decorate however they wanted. They had a blast.